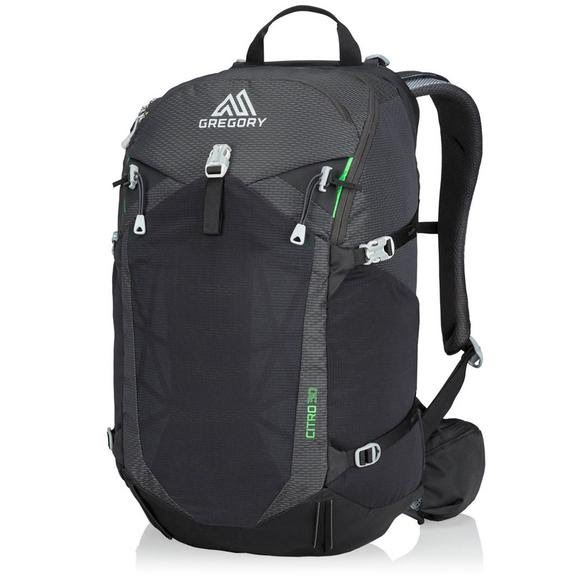 Gregory's Citro 30 hauls gear, food, and water with ample room left over for layering as you gain altitude. VaporSpan free-flowing ventilation keeps you cool and the included 3D Hydro Reservoir keeps you hydrated. Gregory &apos;s Citro 30 hauls gear, food, and water with ample room left over for layering as you gain altitude. VaporSpan free-flowing ventilation keeps you cool and the included 3D Hydro Reservoir keeps you hydrated.